God’s Word gives life. God’s Word concerns life. God’s Word of life reveals what He has done, how every human life has value and dignity, and how everything God created was for the sake of His children—for us! We cannot consider this without awe. The fallen, broken world, however, does not acknowledge this. It promotes instead the self above all, champions an “anything goes” theology, and brings hurt and confusion. Bad things happen. People are deceived. Lives are destroyed. Collected here are easy-to-read commentaries concerning topics such as moral worth, abortion, evolution, suffering, life and death decisions, biblical manhood and womanhood, and other sanctity of life issues. Grounded in Scripture, these relevant essays explore what is revealed in God’s Word and discuss a wide array of topics pertaining to human life, God’s grace, and His perfect love for us in Christ Jesus. Come to the sale at Word of Life school on April 27 from 8am – 2pm for a colorful selection of annuals, perennials, edibles and yard art. 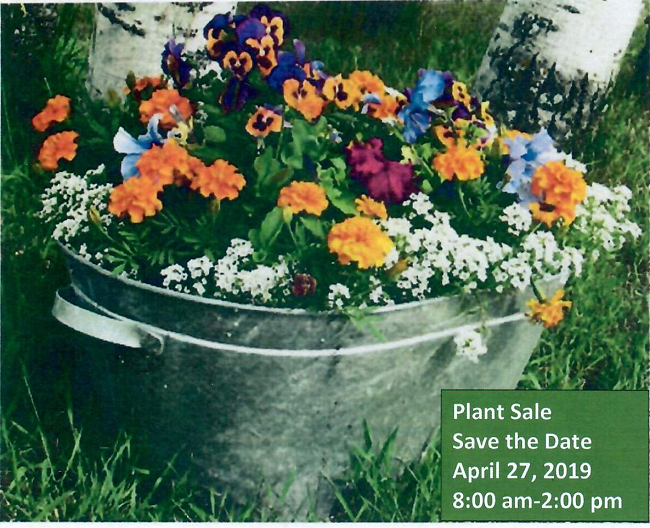 If you are dividing your houseplants and perennials, consider dropping off your extras for the sale to Word of Life school on Friday, April 26 after 3:30 pm. Can you help? No plant knowledge necessary, just call Karen Hilkerbaumer at (314).752.9473 or Julie Headrick at (314) 849.2245. SUNDAY MORNING BIBLE CLASS—EVERY ONE HIS WITNESS Beginning January 20, Pastor Clark’s Sunday morning Bible class will participate in “Every One His Witness.” Every One His Witness seeks to motivate Christians to be active witnesses of the Gospel in their communities. In this Bible study we’ll seek to become better equipped to share the Good News of Jesus with people of differing religions and worldviews. The study will include, God’s Word, videos, and group discussion. The core study is 6 weeks in length and will be followed by other modules which focus on witnessing to specific groups including: Witnessing to De-churched Adult Children, Witnessing to Muslims, and Responding to Scientism. Come and become better equipped to share Christ’s love! All are welcome! WEDNESDAY WOMEN’S BIBLE STUDY will begin a new study on January 9 at 9:30 in the Concordia Room. The study guide The God of All Comfort by Donna Pyle based on 2 Corinthians 1:3-7 will lend insight and encouragement that God is not blind to our troubles. Through God’s Word and stories of eight faith-filled Christians who relied on faith despite their heartache, we will experience the unmistakable handprint of a loving, merciful Savior who relentlessly pursues us with His ultimate comfort. Please join us for prayer, study, and fellowship. Contact Marlene Maxfield – 846-3880 – to reserve your study guide.